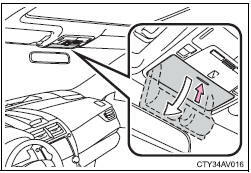 ■Caution while driving Keep the auxiliary boxes closed. 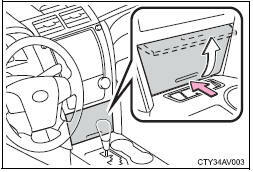 In the event of sudden braking, an accident may occur due to an occupant being struck by an open auxiliary box or the items stored inside. ■Items unsuitable for storing (type A only) Do not store items heavier than 0.4 lb. (0.2 kg). 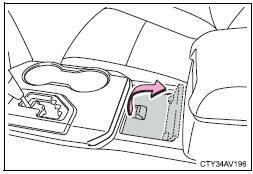 Doing so may cause the auxiliary box to open and the items inside may fall out, resulting in an accident.